Aaron Fastman is a small business entrepreneur in Burlington. He received his under graduate degree from The University of New Mexico in 2002. Aaron owns and operate four businesses in Vermont and New York – 1-800-GOT-JUNK?, The Fastman Group, which invests in real estate, a law funding business in NY, and iLyte iPhone Case Co. Aaron is a single father and stays busy enjoying everything Vermont has to offer, including mountain biking and snowboarding. This entry was posted in Ignite Speaker and tagged 1-800-got-junk aaron fastman, 1-800-got-junk vermont, aaron fastman, adam hergenrother, cancer and humor, cancer humor and entrepreneurship, hergenrother foundation, ignite 2013, ignite burlington, ignite burlington 2013, ignite burlington vermont, ignite burlington vt, ignite vermont 2013, the fastman group on October 2, 2013 by Hallie. 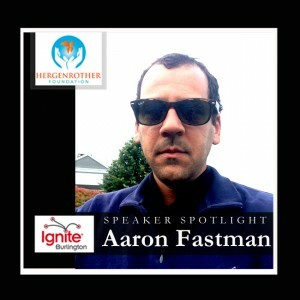 Ignite Burlington 2013 Speaker Line-up Announcement! Former professional snowboarder Kevin Pearce is now an inspirational survivor, sports commentator, motivational speaker and advocate for brain injury and Down syndrome. The Kevin Pearce Fund supports organizations that enrich and enhance the lives of families and individuals affected by brain injury, Down syndrome, and other challenges. Tom Murphy is a leading authority on anti-bullying in schools and specializes in speaking to students, teachers and parents. Murphy has given over 500 presentations and empowered over 125,000 students and teachers on what they can do to help stop bullying. Tom is also the Corporate Director at Genesee and Wyoming Railway Company. Tom was a former nationally competitive wrestler in college and is a current Professional Mixed Martial Arts Fighter who competed on Season 2 of The Ultimate Fighting Championships Ultimate Fighter Reality Show. Ann Zuccardy offers candid, witty conversation about life’s challenging moments and getting through them with creativity and humor. She provides insights gleaned from her personal struggle after a traumatic brain injury (TBI) changed her life. A professional writer for nearly three decades, Ann writes for technical publications, social media, and corporate communications departments. Her work appears in Press Pause Moments: Essays about Life Transitions by Women Writers and in magazines and corporate newsletters. She is writing a book about her TBI experience: A Brain Rebooted: Creating New Pathways for Life and Business. Ann shares her story about the trials and tribulations of reinventing her life after her injury and discovering hidden surprises about intelligence and creativity. Disregarding social expectations to “keep up appearances”, Mrs. Vermont America 2013 Hannah Kirkpatrick is a fearless and vulnerable storyteller, willing to expose her journey through the deepest caverns of depression and addictive substances & behaviors, and her close-call victory over some of the same struggles that haunt millions of Americans. Through her story of devastating loss and second chances, Hannah paints audiences a vivid picture of the light at the end of the long tunnel of addiction, affirming that immeasurable laughter, meaning, and hope await on the other side. She brings levity and humor to an often heavy subject, easily delighting audiences into recognizing and embracing their weaknesses, challenging them to support others through dark times, and above all, passionately supporting listeners to take the steps of courage required to ask for help in whatever area they may be struggling. Hannah is an acclaimed speaker and mentor, traversing New England and beyond to inspire students, parents, and general adult populations toward the promises of hope & joy in recovery. As a capstone to her year of service as Mrs. Vermont America 2013, she made history as the first Vermonter to ever place in the Top 15 at the Mrs. America competition! She credits the irony of telling an “ugly story in a beautiful dress” as her ticket to success. Hannah also coaches women in Africa to economic freedom through entrepreneurism, and offers a personal development & leadership curriculum to individuals and companies looking to incorporate vintage values into their personal lives, families and businesses in a new way. Hannah is incredibly grateful to have her husband, Chris Kirkpatrick, still by her side, and they are delighted to have a “very two” year old daughter named Knightley. Janet Smith is the Director of Vermont Transcendental Meditation Center. She has been practicing and teaching the TM technique for over 40 years and leading and participating in peace projects since 1979. Elizabeth (Ela) Wojtowicz is a Yoga teacher, Yoga student, disability activist, humanitarian, lover of life and a member of the non-profit “Off the Mat, Into the World.” Ela is also a part of the Handel Group Life Coaching Teleseries “Life Coaching for Yoga Practioners. Ela was born premature and was given the gift and blessing of Cerebral Palsy. Ela believes in the power of Yoga. Yoga is art. Yoga is life. Through her journey of self-discovery and transformation, Ela is learning that she does not have a disability, just different ABILITIIES. Aaron Fastman | Owner of 1-800-GOT-JUNK? and The Fastman Group, Inc.
Adam Hergenrother and Hergenrother Industries empower the leaders of today to develop the leaders of tomorrow. Defined by vision, inspiration, leadership, opportunities, and growth, Adam has built seven companies in under five years. Hergenrother Industries is a powerhouse connector – matching talent with opportunities, the community with resources, clients with realtors, investors with entrepreneurs, and goals with training and education. Through strategic business consulting, consistent accountability, and personal development, Adam is developing leaders and businesses worldwide. As Vermont’s only Board Certified Hypnotherapist with a busy practice in a medical office, Nathalie Kelly knew a lot about the mind’s power to heal the body. Since 1996 she has helped nearly 1,000 clients heal trauma and anxiety, and to develop self-worth and self-confidence. When a sailing accident left her with a traumatic brain injury, her world was suddenly and tragically turned upside down, putting everything she knew to the ultimate test. This amazing journey has led her to discover a new way to navigate life, leading with her heart and not her head. She is a writer and speaker committed to helping others find the courage to live more authentic and compassionate lives. Her upcoming book is titled, Brainstormed: How I Lost My Mind & Found My Heart. There will also be a special mystery guest at the event. Tickets are extremely limited and are on sale now for $25.00. For more information and to purchase tickets, visit http://goo.gl/QVJPp2. Hergenrother Foundation’s mission is to provide the necessary resources for children to learn, grow, thrive, and develop into outstanding members of their communities. Through back to school drives, leadership camps, and “real time” funding for immediate needs such as soccer cleats, field trips, or instruments, Hergenrother Foundation will help today’s children become confident and dynamic leaders of tomorrow. For more information, visit www.hergenrotherfoundation.org. This entry was posted in Ignite Speaker, Press Release and tagged 1-800-got-junk vermont, aaron fastman, adam hergenrother, ann zuccardy, az communications, david hill keller williams realty, david hill kw worcester, david hill massachusetts realtor, david hill real estate, david hill worcester ma agent, ela wojtowicz, ela yoga, hannah kirkpatrick, hergenrother foundation, hergenrother industries, ignite burlington, ignite burlington 2013, ignite vermont, janet smith, kevin pearce, kevin pearce documentary, kevin pearce snowboarder, love your brain, meditation centers in vermont, mma tom murphy, mma vt, mrs. america vermont, mrs. vermont 2013, mrs. vermont america 2013, nathalie kelly, new breed marketing, new breed marketing vermont, preferredagent, Press Release, sweethearts and heroes, the fastman group, the hill team, the hill team associates, tm, TM vermont, tom murphy, transcendental meditation, transcendental meditation vermont, ultimate fighter tom murphy, vermont hypnotherapist, vermont ignite, vermont meditation center, vermont tm center, worcester real estate on September 23, 2013 by Hallie.